Hitman Developer Announces Planet Alpha With Team17 | Nerd Much? Adrian Lazar, former Hitman developer who worked on Kane and Lynch 2: Dog Days as well, has announced that not only does he have a trailer for his game, Planet Alpha will be published by Team17. Planet Alpha began way back in 2013, as a pet project Lazar worked on during his spare time. Then in 2015, Lazar left IO to work on Planet Alpha full time. He gathered a small team, including Tim Løye Skafte for 3d art & animation and Tim Börrefors for level design, and they have been working tirelessly on the game since. 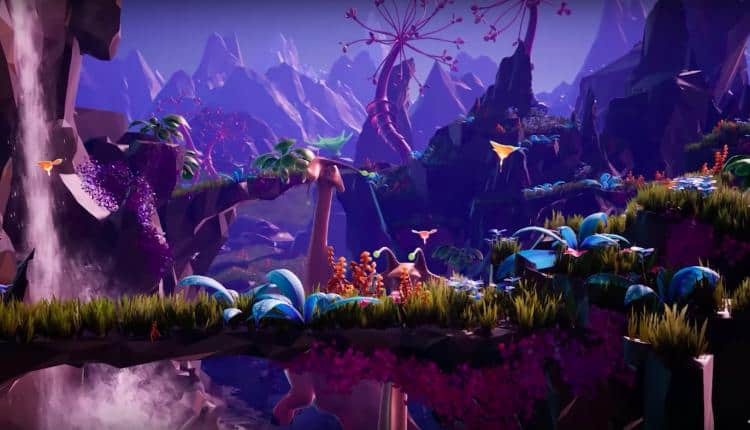 CEO of Team17 Debbie Bestwick agrees, adding that Planet Alpha is the kind of game that can “take us to different worlds on amazing journeys.” Bestwick’s understanding of the game is almost as passionate as Lazar’s as she states that Planet Alpha has the kind of world that she certainly wanted to spend time in. As to the game itself, Planet Alpha is a side-scrolling platform adventure game. Some levels will be fast and exciting, others will rely on careful and slow stealth mechanics. You will have to brush up on your puzzle skills too, as there will be some very creative ones in Planet Alpha. All of which are against a beautiful and unique art style that can be very colorful in one moment and drearily foreboding the next. Planet Alpha will be coming out sometime in 2018 on the PS4, Xbox One, PC, and the Nintendo Switch. What do you think of Planet Alpha so far? Can you see hints of Hitman’s design in there, or does the game better remind you of other platformers like Inside? Let us know your thoughts in the comments below!